This week I’ve been thinking a lot about my main issue with my dissertation at the moment– the fact that I have a lot of data sources and a virtually non-existent approach to looking at all of it. The first thing I do when I have an issue like this is to read what other people have done. I call this “reading for inspiration”. I actually spent a lot of time reading for inspiration this year just to get ideas. The most inspirational book I read this year was Bruce VanSledright’s In Search of America’s Past: Learning to Read History in Elementary School. VanSledright went into a 5th grade classroom to teach the students historical inquiry and then measured what they learned from this approach. Replace “historical inquiry” with “project-based economics” and this is essentially my study. He appeared to be faced with the same amount of data sources I am, and I actually picked this book up again this week to look again at how he measured student learning, even though I first read this book in January. The cool part is that VanSledright got his PhD at MSU as well, studying elementary social studies with the late, great Jere Brophy. See? We’re academic soul mates! Anne-Lise ran into VanSledrght at AERA this year and talked to him about my dissertation. He agreed to chat with me on the phone about his work! Having someone like him discuss my work (even briefly in passing) and want to talk to me more about it is the nerd equivalent of meeting a rock star. So, I made up some questions to ask him about his data sources. How often can one talk to an author of an inspirational book of theirs? I also find inspiration reading other things. My writing group friend and fellow “West Coaster” Erica sent me a syllabus and all her readings from a case study course she took, and I am going to conduct my own independent study of case study research. I also am reading a book on reading comprehension and inquiry circles for a class I’m teaching in a couple weeks (Comprehension & Collaboration: Inquiry Circles in Action by Stephanie Harvey & Harvey Daniels) and I found some good stuff in there, even though my dissertation topic is seemingly unrelated. I’m also making more of an effort to read fiction– just for fun. It’s important for me to remember that I also once enjoyed reading for fun instead of work; for entertainment instead of knowledge. This brain break I give myself very now and then is key for inspiration. I feel like I’m more ready to tackle the tough stuff after reading The Art of Fielding, or Hunger Games. Hopefully I can chat with Bruce soon (I’ve already decided we’re on a first-name basis), but until then, back to the books. 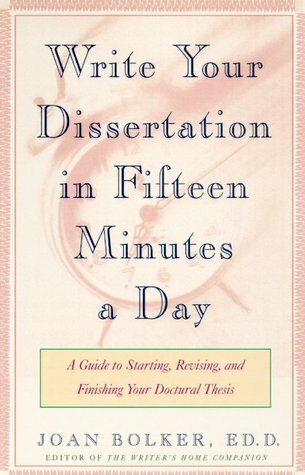 I started reading “Write Your Dissertation in Fifteen Minutes a Day” by Joan Bolker in hopes that it would offer magical secrets about how I can get away with only doing 15 minutes of work a day. Not so much– turns out the title was only an attention-grabbing ploy to sell books! Who would have thought? Nonetheless, this book is pretty good, and I plan to read it in pieces as I move through the stages of writing as a form of “dissertation therapy”. There is a whole chapter about how to choose a good dissertation committee, which I believe I have already done, so I thought I’d write about them. “The Committee” is made up of four faculty members at MSU. Their function is to guide me in “The Proposal” stage and then again at my “Defense” a year from now. I chose these four people myself because I have worked with them these past four years at MSU and they have similar research interests as I do and expertise in my topic. Anne-Lise is my advisor and my Dissertation Director. She’s the lucky one that gets to read a million drafts of my work and be closer to my project than the other members of The Committee. Her expertise is elementary social studies, which is why she’s my advisor in the first place. Not to mention she’s very smart, ambitious, organized, and driven like I am. Well, she’s much more of all of these things than I am. Kyle is the member of my committee that pushes me to think about things in other ways, which is why I need his views on my committee. His expertise is secondary social studies and I have worked with him all year with field instructing interns. Peter has the expertise in qualitative methods– I took a great class with him my first year and learned a lot from him about the kind of research I want to do. Cheryl is the literacy professor I worked with teaching the ELA methods course. I only got to know her this year, but I have learned a lot from her already and she brings more expertise in elementary instruction in general. I think my committee is a very supportive group, which Bolker says is necessary. She gives a lot of horror stories in one chapter about horrible advisers and committee members, and I was relieved to reflect on the fact that this is not the case for me. I like that 3 out of 4 committee members love college basketball and other sports as much as I do (and who knows, Cheryl might too– we’ve never talked about it!). I’ve worked closely with them, and they’ve worked closely with each other, so there’s a friendly, caring vibe to the group. This is good–I’ll definitely need it. I did accomplish something major related to my dissertation already, and that is my dissertation proposal. For those that haven’t devoted themselves to writing papers every waking minute of their day (in other words: normal people), a dissertation proposal is where I write up my idea for my dissertation and present it to my dissertation committee. “The Proposal” is the only written document I have related to my dissertation so far. In it, I wrote up an introduction to the problem (a.k.a., Why do I want to study what I’m studying? Why is it important? Why should anyone care to read it? ), I reviewed other articles related to my topic, I wrote up the logistics of how I want to carry out the study, what data I want to collect, and how I am going to look at that data. After attaching a few appendices of ideas, The Proposal ended up being 60 pages. 60 pages just to describe the idea of my dissertation. Here’s my idea (in way less than 60 pages): I want to implement a social studies unit on upper elementary Economics. This unit is something I worked on at NHA in collaboration with a non-profit group. The unit (and the non-profit group) is called One Hen. In this unit, 4th or 5th grade students learn about a boy named Kojo in Ghana who got a loan of “one hen” (get it now?) and started a business. He used his profits to build his community– he started small and ended big. The students then actually get a small loan, start their own business, and talk about ways they can use their profits to help their community–then they put the talk into action. This is a valuable message that I personally think is what’s so great about learning social studies– kids at a young age can learn content in order to better their world and their surroundings. I want to study what students learn, what they do, what they think, and what happens when they experience this unit in the classroom. I want to co-teach it with a classroom teacher and pull every bit of information I can out of the students and write about it. However, when my goal is to “pull every bit of information I can” out of students, it leaves me with a lot of data to study, and I am a bit overwhelmed about where to start. Is the goal of my study to find out if the unit “works”? If so, how can I see if it “works?” Or do I not care if it “works” and just want to capture a moment in time when they learn it? 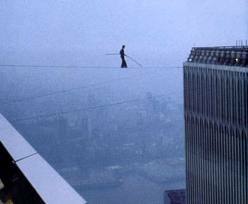 I think I want to do both, but this leaves me with an idea that’s a bit ambitious to say the least. My committee liked the idea of this unit and the possibilities of great instruction it can offer. But, the amount of data concerned them as well. This summer will be mostly spent tweaking The Proposal, since I want to submit it for funding applications (since it’s the only written piece I have on my dissertation as of now) and I need to be ready to wrap my head around this data puzzle before I collect it. So for the next 2-3 months, my mind is on The Proposal. On Monday, I officially resigned from NHA, a company I have worked for for the last 8 years. NHA was my first “career job” just out of college, and I have worked in a variety of roles for them– paraprofessional, substitute Kindergarten teacher, middle school Social Studies teacher, and Curriculum Specialist. I got a lot out of working there– more than just my professional classroom experience (although that was incredibly important). NHA also gave me the opportunity to gain a wealth of knowledge on teaching, learning, and assessment through conferences, professional conversations, and supporting me while I got my Masters Degree and most of my PhD. They also helped shape my views on the role of charter schools in education reform, and taught me lessons on how to help teachers. Most importantly, working for NHA gave me an group of amazing lifelong friends that I met at Vanderbilt and the Service Center. But in the end, what NHA couldn’t give me was time. I have devoted 4 years to working on my PhD, and I can now see the finish. My biggest take-away from this year at MSU was that my attention was focused in too many places, and I needed to put all of my energy into finishing my degree. At one point, NHA was very connected to my doctoral work, but then over the last couple of years it had been slowly pulling away. Now it is time to let it go and give over this year to writing. He has a point, but I am honestly not concerned about this decision. It’s part of what is going to make this year monumental for me. It had to be done. For my first blog post, I am trying to think about the following question: What is the start of my story? If I am writing about writing my dissertation, where do I begin? I don’t think it starts with my first words or even my first thoughts on my topic. I think the story starts at the end– the end of my semester, the end of my time at NHA. I need some time to process “the end” of a few things before I can start on this new beginning of mine. The first “ending” that I still haven’t processed is the end of this crazy school year. This year, I had one of the most exhilarating experiences of my career, and one of the most debilitating. I was both simultaneously confirmed in my talent and passion for teaching, and taken down quite a few pegs in my abilities as a writer. 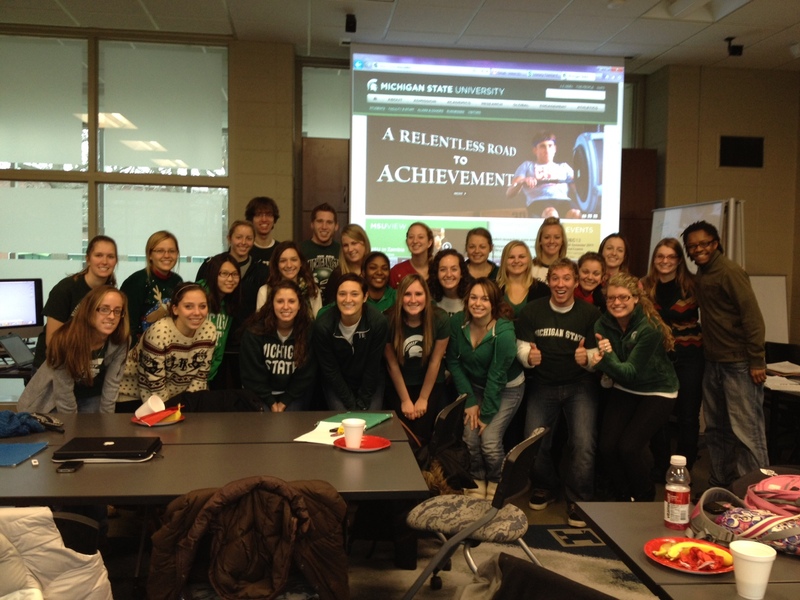 I spent my year teaching some amazing students at MSU in the TE 401/402 classes of the elementary teacher preparation program. Every day, they inspired me to think of new things– what it means to be a good teacher, how I can help people find their passion for teaching (and for teaching social studies), how I can be a part in this conversation around teacher preparation, etc. It was by far the best experience I’ve had in my doctoral program, and I put a lot of my focus into developing my students this year. Although they inspired me to think and write new things, I had one last (very large) hoop to jump through– taking my Comprehensive Exams. This was a six-month ordeal of writing about things that other people wanted me to write about, or write about topics I used to be interested in, but was no longer excited about. 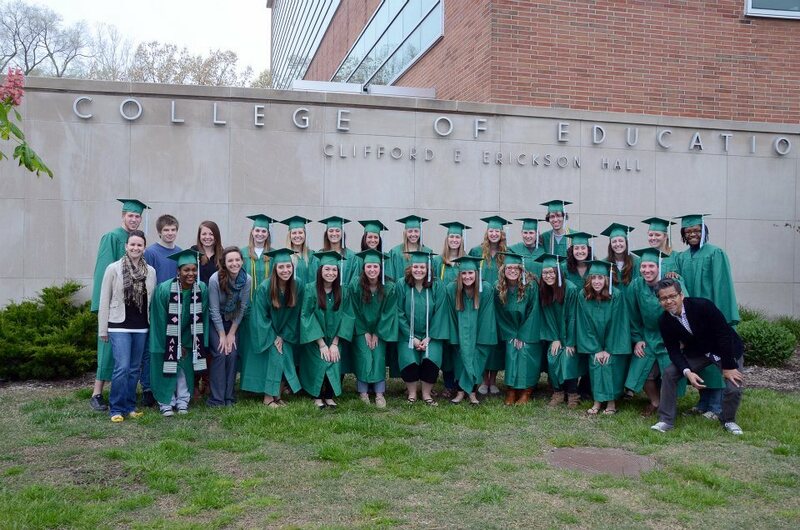 So while I was incredibly inspired by these future teachers, I was still stuck in a writing rut. When the time came to write about what I was actually interested in– my dissertation topic–the year was very close to being over, a deadline to defend a dissertation proposal was looming, and time was running out. Needless to say, I wish I had more time. I wish I had more time to spend thinking about the topics I want to think about, and preparing to research and write about them. I even wish I had more time to be a better teacher to this group. I defended my dissertation proposal last week, and was left with a lot of work to do. Work I probably should have done earlier this year. I made a decision a while ago not to waste any more time thinking or working on things I’m not passionate about. This is the theme of the next year of my life– to give myself the gift of time, and work on moving on to the things I really want to do–whatever they are. I’ve got a year to figure it out. If these guys can figure it out, I’m sure I can too.